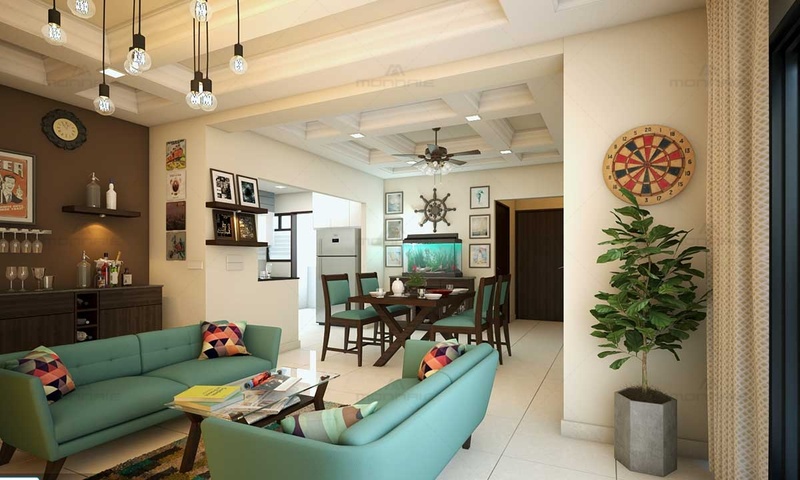 This home interior décor beautifully done in a colonial elegance carries a warm and rustic appeal with its Scandinavian colour palette and bright soft furnishings. 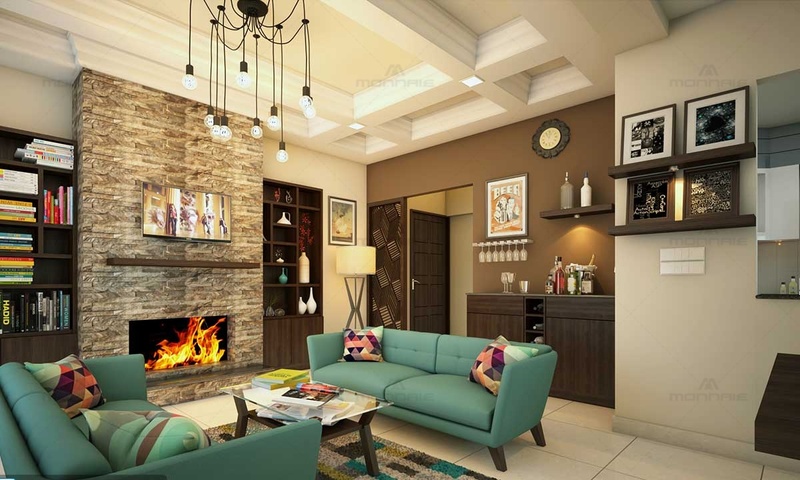 The living room design has an immaculate, laidback vibe with two simple sofas upholstered in turquoise blue facing each other. 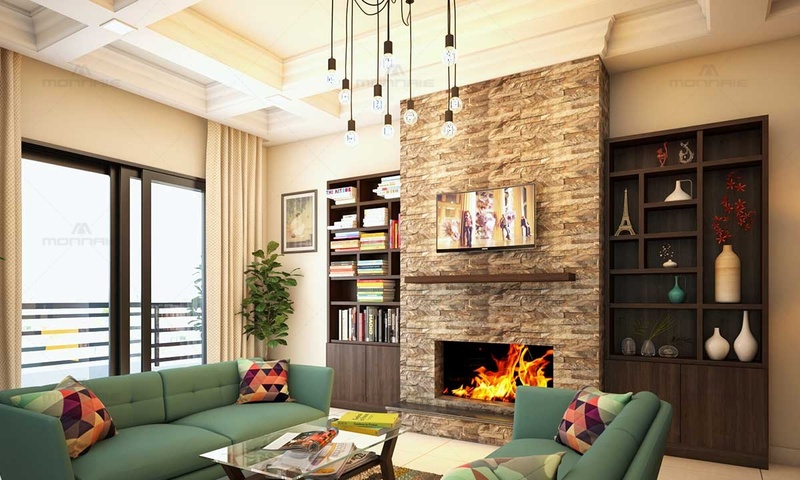 The fireplace, wooden book shelf and the stone cladded wall beautifully blends with the bulky false ceilings design and the vintage light fixtures. 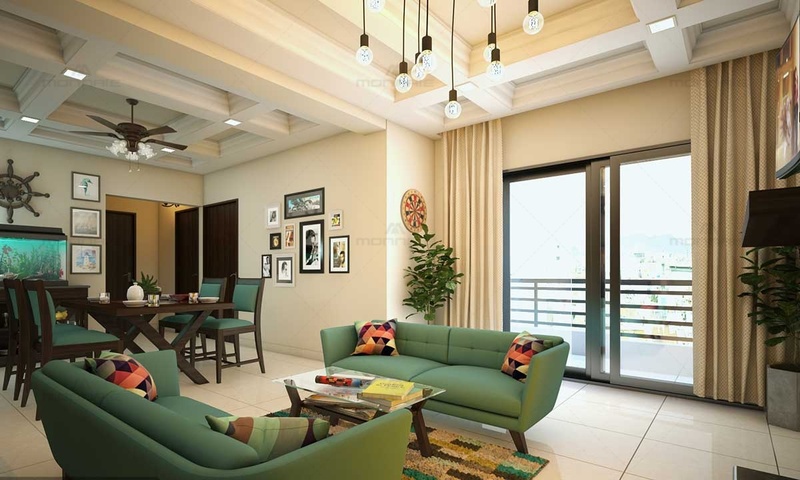 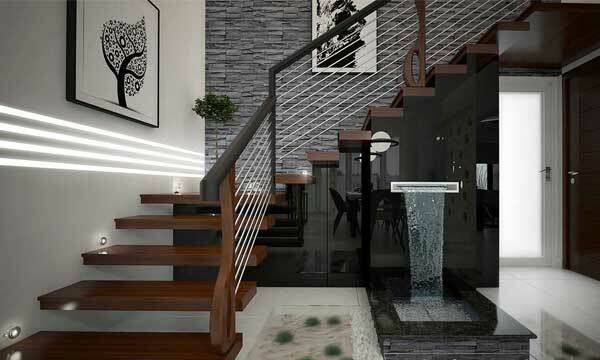 It is complimented by a balcony that further adds openness to the living room by bringing in natural light. 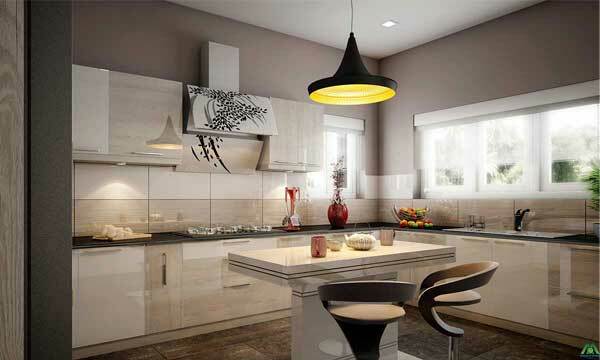 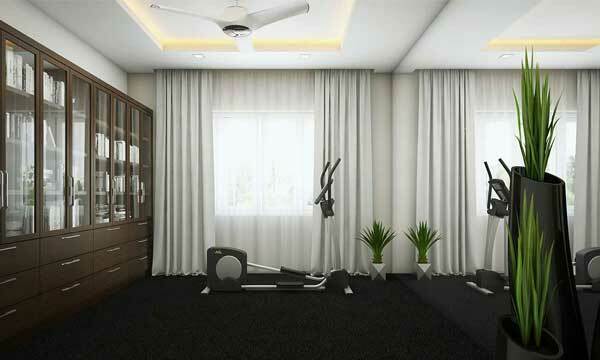 As one of the top interior designers in Bangalore, we have treated all the spaces with utmost simplicity and at the same time maintained its grandeur.